PNAU – Announce New album and Australia end of year shows & a huge new single! Following on from their massive triple platinum selling summer anthem “Chameleon”, Australia’s electro pop hit pioneers, PNAU announce the forthcoming global release of their long awaited fifth studio album ‘Changa’ preceded by the just revealed stunning (& destined to be massive) new single, ‘Go Bang’. Consisting of core members Nick Littlemore, Peter Mayes and Sam Littlemore and featuring LA based Shakira Marshall (back-up singer for Ms. Lauryn Hill) on vocals, bringing a new and electrifying layer to the band’s live show. 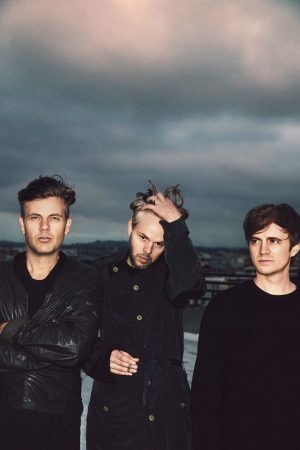 PNAU have developed a reputation for delivering eccentric dance tracks since their inception in 1999. Changa will be PNAU’s first full length album since 2012’s ‘Good Morning To The Night’, produced in collaboration with Sir Elton John and debuting at #1 in the U.K. album charts and in the Top 5 in Australia. With ‘Chameleon having already scored over 25 million streams on Spotify alone, Pnau recently unveiled a new 90’s rave style single ‘Into The Sky’coinciding with a short & hugely successful return to Australian stages as one of the headliners on Listen Out Festivals. “We have travelled many dimensions to create our new material. We are keen to finally share our mental journey with the universe. The addition of another Littlemore turns our band into a brotherhood.